It is possible that, in the past period, with the knowledge that his term was nearing its end, Fellay would have hesitated. Now, however, precise signals are expected in the Vatican. The terms of agreement include the acceptance of the theological agreement already agreed in 1988 by Archbishop Lefebvre and the then Cardinal Ratzinger, the lift of the excommunications decreed by the Holy See after the illegitimate ordination of four bishops by the same Lefebvre, and a canonical structure, similar to that of the military ordinariat, which allows the Fraternity Saint Pius X to preserve its seminaries and to incardinate [its own] priests. Simultaneously to the agreement, the Holy See will announce a kind of liberalization of the pre-Conciliar Missal of Saint Pius V - a measure very much expected also by Traditionalists in communion with Rome. Naturally, speculation by Italian vaticanisti always has to be taken with a pinch of salt - but they are often right. A reconciliation with the SSPX would certainly seem to be possible given the groundwork that has already been done. The Una Voce website carries the text, referred to by Tornelli, of the 1988 Protocol of Agreement between the Holy See and the SSPX, signed by Archbishop Lefevbre and Cardinal Ratzinger. 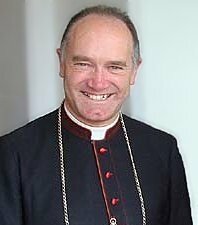 Were the canonical status of the SSPX to be fully regularised, it would be interesting to see the impact of the society on Catholic life. Priests of the SSPX would certainly liven up the average Deanery meeting.